Dr. Richard H. Hunt qualified from Edinburgh University in 1966. He is a Fellow of the Royal College of Physicians of London, Edinburgh and Canada, and American Gastroenterology Association. He is a Master of the American College of Gastroenterology. He has been recognized with many prizes and medals for his work in Gastroenterology, where his special interests focus on the acid related disorders, Helicobacter pylori infection, the role of anti-inflammatory drugs and the gut and the clinical pharmacology of treatment of gastrointestinal disease. He is also widely recognized for an extensive interest in colorectal disease, colonoscopy, and therapeutic endoscopy. He has been honored to deliver the Ivan Beck Lecture of the Canadian Association of Gastroenterology (CAG), the Presidential Lecture of the Association of West Indian Gastroenterologists, the Panir Chelvam Lecture of the Malaysian Society of Gastroenterology, the Richard Sherbaniuk & Ron Wensel Foundation lecture Department of Medicine, University of Alberta, and the Henry L Bockus Lecture at the World Congress of Gastroenterology and the Marshall and Warren Medal 2012 from the European Helicobacter Study Group. Dr Hunt was the Richard D McKenna Lecturer for 2012 on the occasion of the 50th Year celebration of CAG. Dr. Hunt was President of the CAG 1992-1993 and a founding member and President of the Canadian Helicobacter Study Group 1997 – 2001. He is currently a Director and Vice President of the Canadian Digestive Health Foundation. He received the Canadian Association of Gastroenterology Distinguished Service Award in 2002 and the Ontario Association of Gastroenterology Award in 2006. He has served on a number of committees for the American College of Gastroenterology (ACG) and chaired their Research committee twice and also served on the Board of Trustees and in 2012 he was conferred as Master of the College (MACG). He has served on the Guidelines committee of the World Gastroenterology Organization (WGO) for several terms and is on the Board of the WGO Foundation. He was made a Master of WGO (MWGO) in 2013 and he was the recipient of the Dr Stephen Garnett Distinction Award of Hamilton Health Sciences 2013. 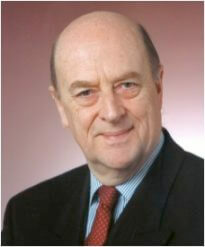 Dr Hunt was Co-chair of the scientific program committee of the World Congress of Gastroenterology, Montreal, 2005. He was co-President of the OESO World Congress 2010 and co-organizer of the scientific program for the Falk 50th Anniversary Symposium on Environment and Lifestyle effect on Disorders of the Digestive Tract 2010. He has been on the faculties of numerous post-graduate courses including those of the ACG, AGA, UEGW, APDW and elsewhere. He has been Associate Editor of the Esophagus, Stomach and Duodenum, sections of the journal Gastroenterology, and a member of the Editorial Boards of 19 scientific journals. He has been Visiting Professor at Universities in the USA, Canada, Australia, Europe, South East Asia and South Africa, and has been an invited lecturer to Universities and hospitals throughout the world. He has over 350 papers and 400 abstracts including authoritative papers on clinical pharmacology, peptic ulcer disease, gastroesophageal reflux disease, Helicobacter pylori infection, colonic disease, and colonoscopy. He is the author or editor of 10 books and 69 chapters, and has produced 20 TV video films on peptic ulcer disease, reflux esophagitis, and colonoscopy. He has over 20,000 citations and an “h factor” of 71. Since 1982, Dr. Hunt has been Professor of Medicine at McMaster University. He was the first Director of the Intestinal Disease Research Unit, and of the Division of Gastroenterology at McMaster University, Hamilton, Ontario, Canada, establishing its international reputation. In 2013 he was appointed Professor Emeritus, in the Division of Gastroenterology, Department of medicine and the Farncombe Family Digestive Health Research Institute, McMaster University.